For groups too big to fit in a 18 or 20 passenger minibus, but too small for a full-sized charter bus, the 25 passenger minibus is the perfect alternative. This compact, yet roomy minibus is best for shuttling groups in and around town for weddings, corporate events, school events, and more. Your group will ride in complete comfort and safety the entire trip. 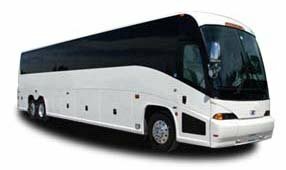 If you’re planning a wedding, corporate event, sporting event, school event, or any other type of event and need reliable group transportation, call Seattle Charter Bus Company. We’re available 24/7 at 206-257-3880 and can start arranging your transportation today.